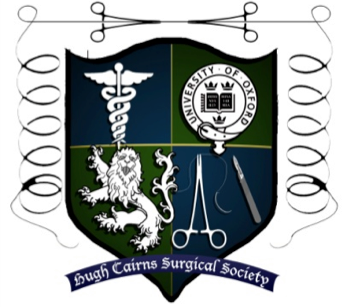 The Royal College of Surgeons of Edinburgh and Hugh Cairns Surgical Society hold an annual event for 4th, 5th & 6th year Oxford Medical Students and Oxford Deanery Foundation Doctors – the Surgical Skills Symposium. This year it will be on Saturday 13th October. All stations will be supervised by surgical consultants, and the majority of tasks will be performed on real animal tissue, with the opportunity to use some of the latest surgical devices. An initial deposit of £50 is required to secure your place, with a refund of £40 given upon attendance of the course (please note that this cost is purely to ensure that everyone who signs up actually goes on to attend the event as places are limited). The actual total cost for the event is in the region of £20,000, and we are extremely grateful to our sponsors, Medtronic, for enabling this event to occur. Such events usually cost delegates around £500-£800 per person, and many junior doctors attend several such courses per year as they look great for CT/ST job applications, so this really is a fantastic opportunity. **All delegates will receive a certificate confirming attendance, and prizes will be awarded to those showing surgical potential**.